Minnesota Timberwolves owner Glen Taylor wants to do the logical thing before investing nearly $150 million on star Timberpup Andrew Wiggins: he wants to talk to him man-to-man. The 22-year-old former Rookie of the Year is eligible for a contract extension and Taylor has made it clear he has just one request to Wiggins before putting the golden ink into paper. He wants the max deal to be mutual. If Minny are all-in on Wiggins, Wiggins should be all-in on Minny. 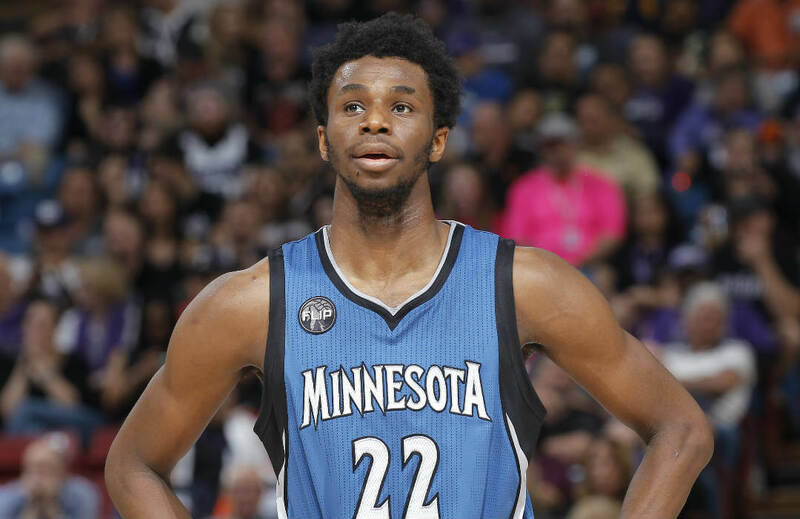 Taylor reportedly wants Wiggins to make the proverbial leap next season, and to do that he will need to work out more in the Twin Cities so he can become the all-around, two-way star Taylor want him to be. Wiggins is hardly the player who does not look to improve himself, since he has always tried to live up to people’s expectations since he arrived to the league. To refresh your memories, Wiggins’ size, athleticism and ability to fly his way to the rim caused some people to tag him as the NBA’s next big thing ahead of his draft year. His points per game have increased in each of his three years, from 16.9 ppg to 20.7 ppg in his sophomore season, and to 23.6 ppg last year. He also improved his shooting from the floor, especially his sniping from deep. He made 35.6% of his 3.5 three-point attempts per game last year, compared to his putrid 31% shooting in 1.5 attempts in his freshman stint. Taylor accepts that Wiggins doesn’t carry an attitude of entitled stars who let their names do their work for them, but he still wants to talk to the guy face-to-face to measure his intent. Wiggins has shown potential and proof that he can be a threatening scorer in the league. But if we are to believe advance stats, his efficiency and defence needs some work so he can go on and earn that max player tag that everyone adores. According to NBA.com’s own statistics, opponents shot better against Wiggins compared to being defended by other players. His size and length allowed him to distract shooters from the wing, but he had difficulties catching up to slashers or banging bodies down low. At 6’8 and 199lbs, he needs to fill up more to become a stronger defender on the block, and he must persevere so he can work to lockdown wily attackers. Luckily for him, the Wolves traded for Jimmy Butler in the offseason and Butler is the perfect player for Wiggins to pattern his game on. Butler, at 6’8 and 220 lbs, walked a similar path to Wiggins, as the former Chicago Bull formerly made his living scoring the bulk of his points by bullying opponents in the paint. But Butler became a better shooter, and is a lockdown defender to boot. With their similarity size, length and tendencies, it’s easy to see why Wolves coach Tom Thibodeau wanted Butler as Wiggins’ teammate and mentor. If anything, Taylor also wishes to see Wiggins become a leader for the franchise. But at 22, it’s hard to put lofty expectations on that end on a kid. Even LeBron James, who is as perfect for basketball as anyone can be, needed to learn how to become a true leader under Dwyane Wade to become who he is today. The Wolves are closer to the playoffs now more than ever, and it is in the playoffs where players really learn the importance of leadership in basketball. Who knows, maybe this Butler-Wiggins master-and-student partnership works and we might see the latter more than exceed that max deal expectations?